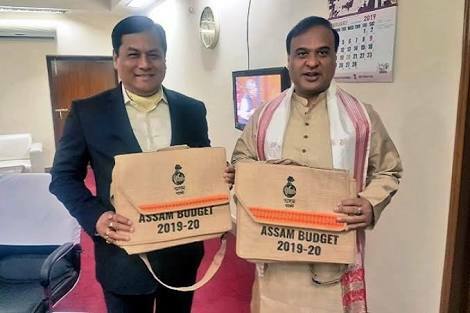 State Finance minister Dr. Himanta Biswa Sharma announched some scheme on the event of assam budget 2019-20. For financially backward people these schemes are may able to help in various cases. Here are some schemes annouched by Assam govenment on Assam Budget 2019. The scheme is initiated only for girls in assam. Under this scheme the battery operated E-bikes will be provided to girl students who will secure 60% marks in Higher Secondary exam . This scheme is also for girls only. Under this scheme one tola gold which is cost of about 38,000 rupees will be given to brides at the time of their wedding. Under this scheme the widow women below 45 years old will recieve Rs. 25,000 immediate cash for family. Under this scheme a university will be set up for physically handicap people in Boko, kamrup by the state government. Under this scheme sportsmen who were contributed in national or international games for country will be provided 50000 rupees each to 2000 sportsman and cultural talent. Under this scheme assam government will provide a one time grant of 50,000 rupees for theatre artists and technicians, who have spent at least 5 years in the industry as a recognition of their efforts and contribution. 7. Separate district from Dima Hasao. In Assam Budget 2019 the Assam government announched to create a new district from existing Dima Hasao district. The govt have taken this dicission because the district consider large geography and hilly terrain which makes the access of government service difficult for the citizens. So, these are some scheme taken by Assam government for the citizen of assam. Hope this article will help you to understand about the Assam budget project in 2019. Thank you !